SLP 700 twin pipes once again proven best in class, sweeping all available qualification slots in the 2001 World Championship Hillclimb at Jackson Hole, Wyoming. 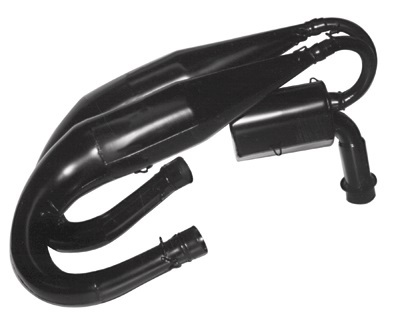 These pipes boast a healthy 16 hp gain with a broad powerband. ERA 2000 silencing technology maintains low sound levels while providing considerable weight savings. Power peak at 8000-8200 rpm. Reduce weight by 91/2 lbs on 2000 model.